“There is no ward in Ekiti that I don’t know people by names, at least 10 people per ward. If I don’t know your name, I have an idea of who you are. You know most politicians give their T-shirts free to supporters, I sold mine. My T-shirt is N300 because I am like the football star. My T-shirt is not free. When others give supporters their T-shirt, they leave it and buy my own. If you don’t buy my T-shirt, you would look like a leper“. It is not about your professorship or doctorate degrees, or your being a SAN. They love me. It is not about education. It is about native intelligence and your ability to humble yourself and live with the people. Most of the people that are local politicians, I know their names, I know their houses, I know their farms. I know what they need. I helped them. I have their phone numbers. I announced my phone numbers on the radio, they call me, I picked calls. How many of the opposition politicians can put their numbers in the public domain for people to call them? How many of them can spend two days in their local government areas? I have gone to look for ward leaders sometimes during party primaries, they would be in their farms and I would meet them in their farms and still help some of them to make farm heaps. Sometimes, it is not about money. There is no ward in Ekiti that I don’t know people by names, at least 10 people per ward. If I don’t know your name, I have an idea of who you are. You know most politicians give their T-shirts free to supporters, I sold mine. My T-shirt is N300 because I am like the football star. My T-shirt is not free. When others give supporters their T-shirt, they leave it and buy my own. If you don’t buy my T-shirt, you would look like a leper. My hand band which has the inscription of my name is N100, my baseball cap is N200. I am as golden as that. There is a membership of the PDP that is general, but the membership of Ayo Fayose group costs N500. I have at least over 90,000 registered members; they beg to register. With all due respect to my supporters, I love them. I go to the remotest part of Ekiti, wherever you are. If you are having a naming ceremony, you will find me there. It doesn’t matter how poor you are. If I cannot give you a cow, I give you a ram. If you are drinking Agbo jedi (herbal concoction), I would join you. Women selling boli (roasted plantain) know me and I know them and I phone them from time to time. This is not a question of money. How many of our governors can go to roadside eateries and eat there? They said I am a jankara governor and I have used this to beat them. Every Sunday, I go to eat ‘iyan kolobe’ (pounded yam without soup) and I’d be there for one hour, but during the election period, my opponents started doing the same thing. They started buying maggi that costs N1000 for N5000, so the people knew that they wanted their votes”. 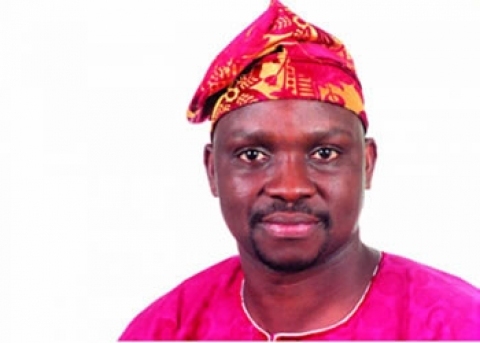 Ayo Fayose is the newly elected governor of Ekiti State. Enter for the Central and West Africa Peace Fellowship- Kribi, Cameroon.